Full set of cable attachments with quick connect cable ends for speedy changeover between exercises. 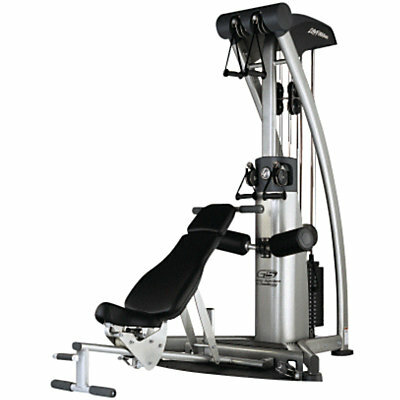 Expertly designed biomechanically to enable the user the best exercise positioning. Space efficient design o User defined motion pathway enables unlimited exercises. G5 offers a complete full body workout. Available with optional multi adjustable bench which locks into unit for stability. The items we sell have had some minor damage to the units ie scratches etc. repaired. They are brand new and have not been owned or used by other customers. The units are repaired and only leave our premises in excellent condition. Prices offered reflect these conditions.